You might think I'm mad but...: What are [convenience stores] made of...sugar and spice and all things nice! What are [convenience stores] made of...sugar and spice and all things nice! I've a sweet tooth...and a savoury tooth...and a tooth that encompasses everything in-between. Korea has been both wonderful, for opening me up to new tastes and sensations, and terrible, as it's been detrimental to my health on so many occasions! Consequently, please find my top 10 convenience store snacks that I will miss when I leave and have to try and AVOID when I am here! 10. Any convenience store hot drink: plain coffee, caramel macchiatos and chocolate cappuccinos, hazelnut tea, blueberry hot chocolate, honey water and honey ginger goodness. Whether you get it in a bottle, can or get a cup to go, these are a necessary item during winter! How else can one stave off the cold whilst waiting for the bus???? 9. 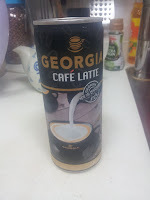 Georgia Coffee - My friend, Dan-J, introduced this to me my very first week of work in Korea. For someone who never really drank that much coffee before coming to Korea, this was something I quickly got hooked on! Man, are they good on a hot summer's day! 8.Saltines - yep, just saltines but they are such an easy food to have in your desk drawer for those days when no matter what you eat you are still starving! Or if you have a tummy ache. 7. 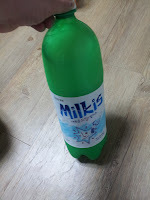 Milkis - this drink is like American Cream Soda - and although I have many traumatic memories associated with Cream Soda (Lough Derg, anyone??? ), I still love the taste! 6. Minatures - These are little squares of chocolate - plain, blueberry, strawberry, coffee flavoured - that are just delicious bites of goodness! 5. 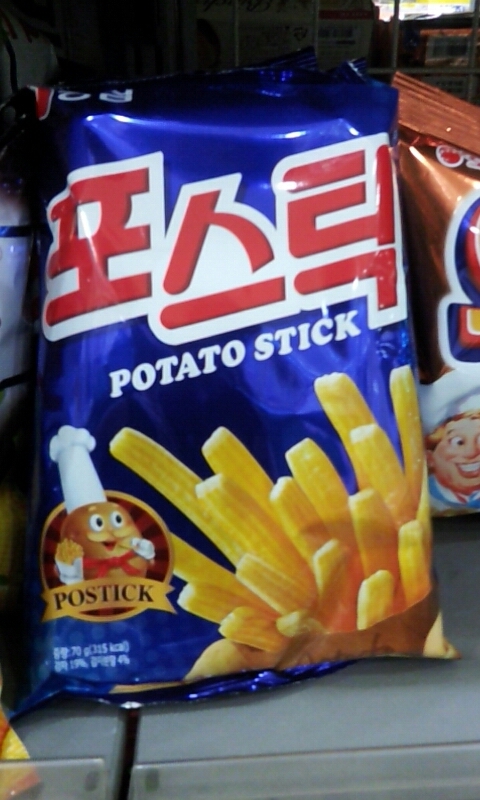 Potato Stick crisps - Oh, wow! These are wonderful - I was here many moons before I was introduced to these.. I don't know how to describe but they are really good! 4. 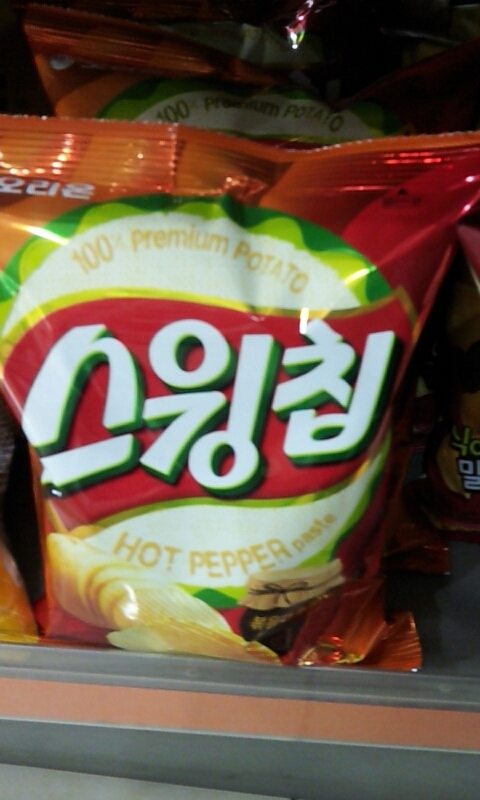 Hot Pepper crisps - They actually aren't hot at all! They have a sweet pepper taste and, despite the sweetness, are one of my favourite crisps to eat here! I ate these for the first time when at a Braai last year. Yummy! 3. Ice-cream -any kind really! 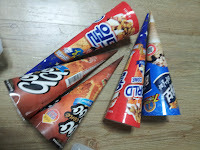 They have ice-cream like Cornettos or Icebergers to ones filled with sweet red bean or some that are like melons on a stick! 2. 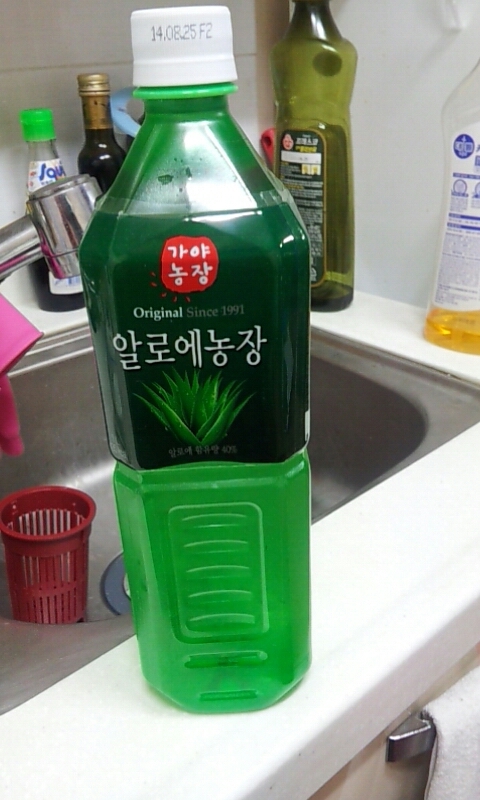 Aloe water/juice. This delicious drink is a firm favourite at group dinners and is so refreshing you won't feel like you need a glass of water! My brother introduced it to me my first night in Korea and I have loved it ever since. If you don't like "bits" you may not like this drink! 1. The triangle gimbap - the "I didn't have time for breakfast gimbap" or "Aaagh, I won't be eating until 8pm and I'm already starving gimbap". 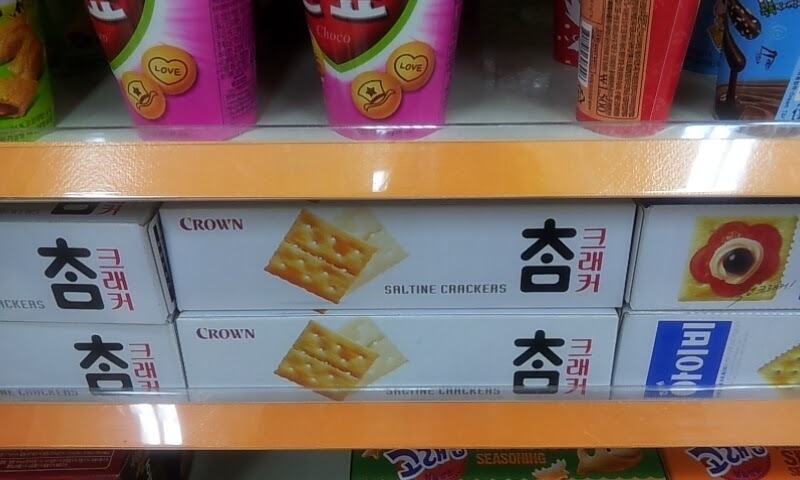 This delicious food is my absolute favourite convenicence store snack to eat here. 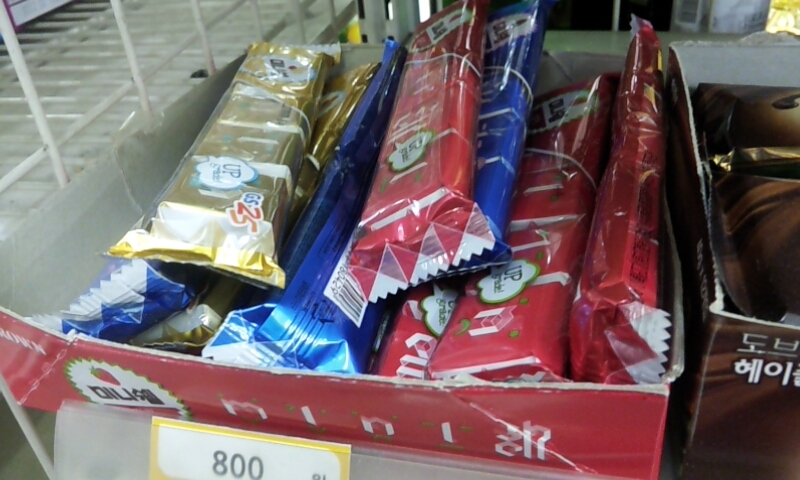 Sometimes, I buy two and eat them on my way home. I am picky: I only like the 참치 (tuna) kind. So what is it? Well, gimbap is very similar to sushi in that it is rice, wrapped in seaweed, stuffed with some filling. Typical gimbap has egg, crab, ham(spam), cucumber, sesame leaf, carrot and pickled radish. You can add other filings such as bulgogi, kimchi or tuna. 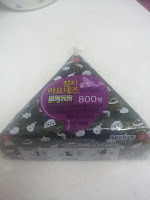 Triangle, chamchi 참치, gimbap is simpler. It is just a triangle of rice, stuffed with tuna mayonnaise and wrapped in seaweed. They expire quickly (max 2 days), so you always have to check the date. They are so delicious and are my deserved number 1! Just follow the instructions to open and eat! PS This post was inspired by the poem "What are little boys made of?"